Optus has unveiled its 2018 FIFA World Cup host lineup, which included Mark Schwarzer and Premier League striker Michael Bridges. 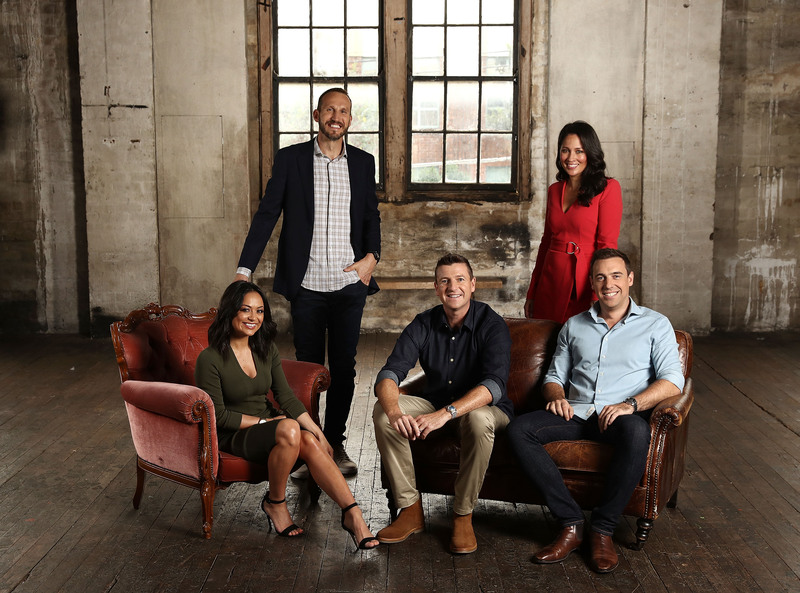 Optus has revealed its line-up of expert football analysts and hosts who will lead its comprehensive coverage of next month’s 2018 FIFA World CupTM. Optus Sport’s core team will be joined by over a dozen high profile guests, to be announced in coming weeks. Optus is presenting the 2018 FIFA World Cup RussiaTM in partnership with SBS, with Optus Sport being the only place to watch all 64 games of the 2018 FIFA World CupTM live and on demand. In addition to watching the live matches, Optus Sport subscribers will be able to enjoy five hours of original live programming every matchday with pre-game shows, post-match coverage and daily highlights produced by the Optus Sport production team. Managing Director of Marketing and Product at Optus, Ben White said, “The 2018 FIFA World CupTM is one of the largest sporting events in the world and we’re delighted to be working with our analyst team to deliver the most comprehensive coverage of a World Cup ever seen in Australia, with state-of-the-art coverage, content and insights into each and every match played. Optus will have three on-air teams based in Russia and will produce a prime time show leading into each match day, along with full match coverage and two morning shows to wrap up each matchday and concluding with Red Square:Live. “This is a significant step for Optus as we continue to become a mobile-led multimedia company and a broadcaster, and we’re thrilled to welcome this team together for the 2018 FIFA World Cup and are really excited about the diverse range of experiences and specialities they each bring to the role,” said Mr White. Australians will also be able to stay on the ball anytime and on the go with the official FIFA World CupTM app – the ultimate Russia 2018TM companion. Optus Sport subscribers will be able to watch all 64 matches of the 2018 tournament live via the app, which will be available early June. SBS’s match of the day will be free for all users. The official app will also feature exclusive enhanced viewing functionality and multi-angle replays, and immersive stats at your fingertips while the new FIFA World CupTM VR app will allow fans to enjoy the game from every angle with live 180° and 210° super wide shots, and 360° video on demand. interviews with the biggest names in the game. elite clubs in the Premier League and Australian A-League, whilst also representing his country. of the great storytellers in the game. Sport’s live football coverage each Saturday afternoon, in addition to hosting for ESPN and UEFA. covered multiple FIFA World Cups. From later this month, Optus Sport will be available for the first time to non-Optus customers and Optus customers who were previously not eligible, for $14.99 per month. All subscribers will be able to access all of Optus Sport’s 2018 FIFA World CupTM coverage, including two 24/7 channels, all 64 matches both live and on-demand and Optus Sport’s entire array of dedicated World Cup programming, as well as all other sports programming on Optus Sport. Visit Optus Sport for further details on how to watch every match. I suppose it’ll make a change from SBS’s four yearly Brazil fap fest….That is of course if Oopstus can get it too work!! It’s a shame all the games won’t be on SBS free to air.